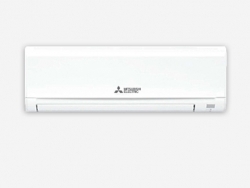 Mitsubishi Electric introduces the new Tropical Specification series. New technologies used in the compressor has made it possible for units to operate at outside air temperatures as high as 50°C. 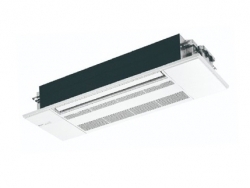 The new tropical specification series is perfect for cooling homes in tropical regions. 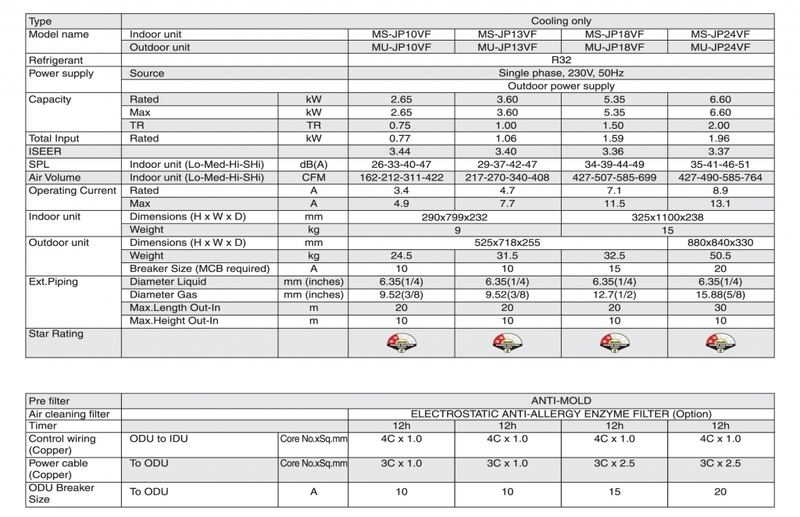 A highly efficient DC motor drives the fan of the indoor unit. Efficiency is much higher than an equivalent AC motor. 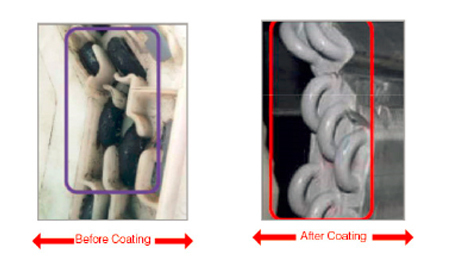 High-performance grooved piping is used in heat exchangers to increase the heat exchange area. 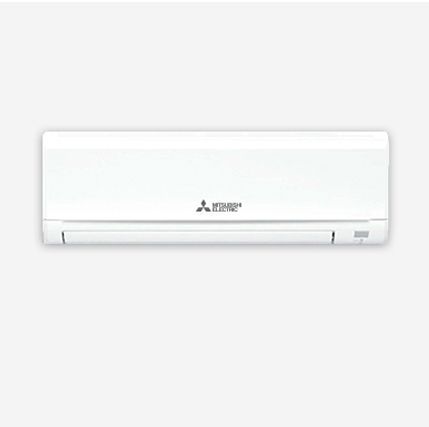 The Econo Cool one touch operation automatically adjusts the direction of airflow based on the temperature at the air outlet. 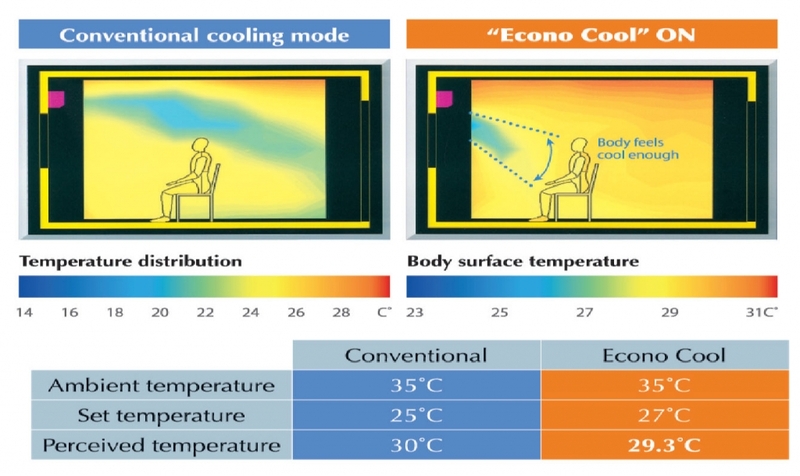 The set temperature can therefore be 2°C above conventional temperature settings without loss of comfort and with a 20% increase in energy efficiency. All outdoor cabinets have been treated with special anti-rust painting. 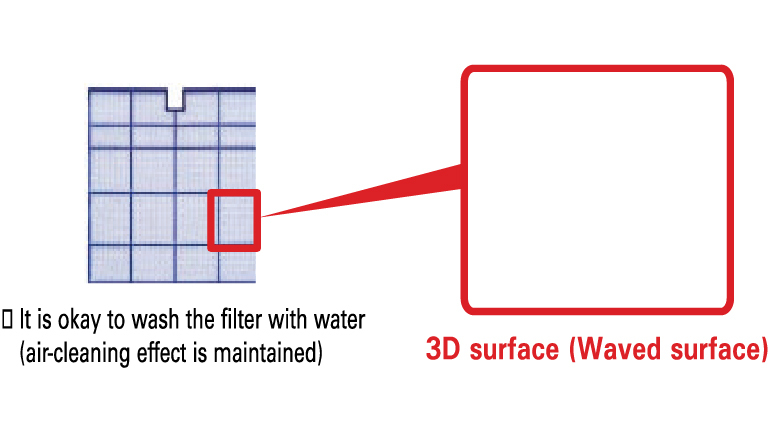 The filter has a large capture area and incorporates nanometre-sized platinum-ceramic particles that work to kill bacteria and deodourise the circulating air. Better dust collection than conventional filters is also ensured. In the unlikely event of a malfunction, the LED on the indoor unit flashes to indicate the exact spot to be checked. 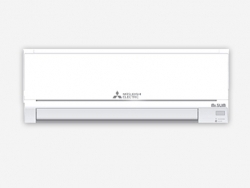 The automatic, one-touch Powerful Cool system ensures faster cooling. It produces 10% more airflow than the “high fan” speed, cooling the room in less than 15 minutes, then automatically returning to the regular setting.